← Get Out Of The Snow With Us! 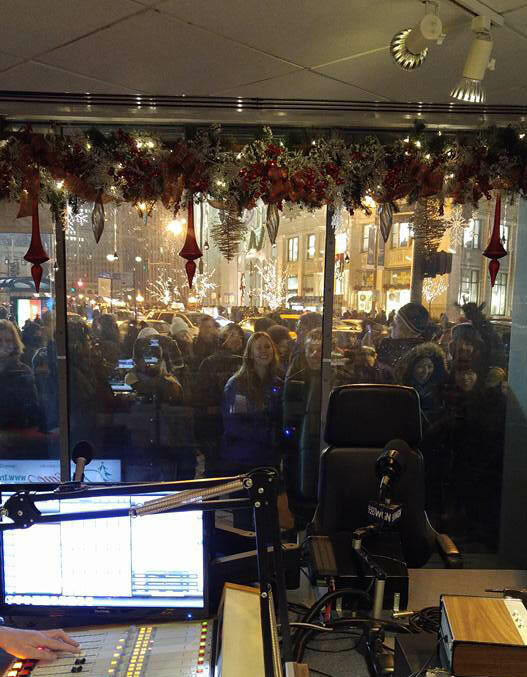 22 years ago we rang in the New Year on the air with you on WGN Radio from the Showcase Studio for the very first time. Well, buckle up because, this Saturday night/Sunday morning from 10 PM – 2 AM, the old year will exit and the new year will start with Steve & Johnnie’s “Cheap Date Life After Dark New Year’s Eve Extravaganza” on WGN Radio!! This entry was posted in Holidays, WGN and tagged Johnnie Putman, Life After Dark, Lisa McClowry, New Colony Six, Ronnie Rice, Sidney Friedman, Steve and Johnnie, Steve King, The Empty Pockets, The Musical Mentalist, WGN, WGN AM, WGN Radio. Bookmark the permalink. 4 Responses to We Hope You’ll Join Us New Year’s Eve On WGN! please, an update on Fran Tate. Listening on the radio of course. Twas the night before New Year’s and what did I hear? Our Steve and Our Johnnie bringing us cheer! With Ronnie and Lisa and musicians galore, there’ll be so much laughter but we’ll always want more! So bring us the show that will bring us next year. WGN’s signal always comes in so clear!!!!!!!!!!!!!!!!!! Had a great time listening. Wish you came on more often MISS BOTH OF YOU WISHING YOU A HAPPY AND HEALTHY NEW YEAR!!!!!!!!!!!!! !